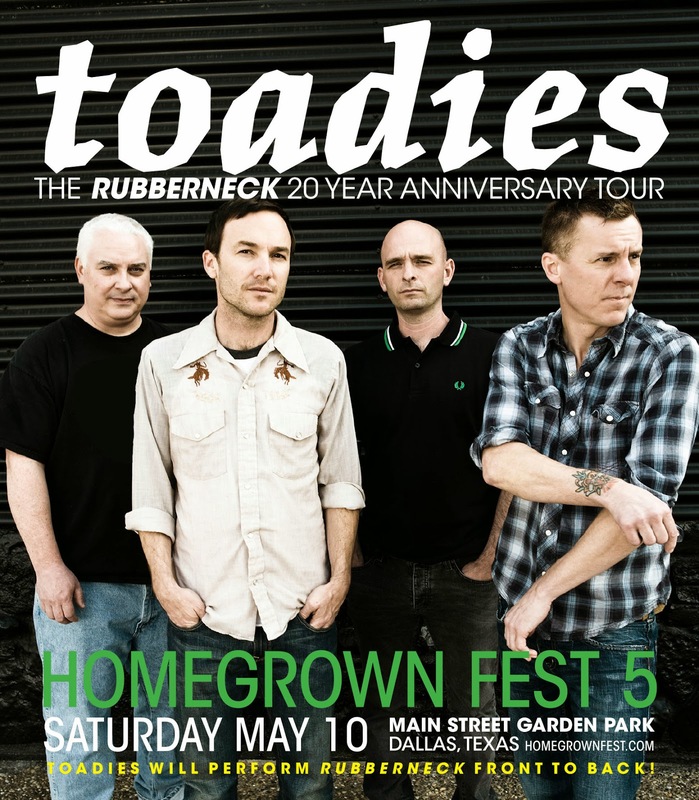 It's official, Toadies have announced their Dallas/Fort Worth date! They'll be headlining Dallas' 5th annual Homegrown Music and Arts Festival on Saturday, May 10. Fans can expect Toadies to play the Rubberneck album front-to-back on this headlining date. Tickets are on sale now for only $20! Get them here.